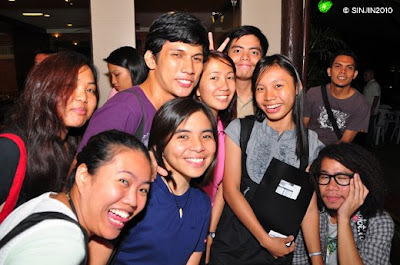 We had a Voting Process for May 2010 Elections presentation by Political Arena dot com, last January 27, 2010 at Neo-Neo Grill House, Cebu together with the COMELEC and SMARTMATIC-TIM. Voting process was demonstrated together with the Cebu Bloggers Society together with other bloggers, press and media were present in the event. This was the second Voting Process for May 2010 Elections presentation or demonstration in which I had attended before. Click Here for 1st Demo Attended. The campaign for the voting process for the coming May 2010 Elections is has got its momentum. Almost Everyone is being educated through TV, news, radio, newspapers, political websites, bloggers, social networks, seminars and many more. The first part of the program was the Presentation of PoliticalArena.com v2.0 by Racquel Cagurangan, General Manager of PoliticalArena.com. Miguel Avila of Smartmatic – TIM, was still the speaker for this one who demonstrated the steps on how to vote on the 2010 Presidential Election with the use of PCOS ((Precinct Count Optical Scan System)) Machine. Although this was a much shorter presentation from the previous one, I'd say they had properly furnished the presentation to be not too overwhelming unlike the previous demonstrations they attempted. Go to your voting precinct on May 10, 2010 and check for your name. Bring voter's ID or any ID w/ your registration stub. Present yourself to the Board of Election Inspectors (BEI) to get a ballot. Then Listen to the BEI's instructions on how to properly fill up the ballot. Receive the ballot and make sure it is empty or unmarked on both sides. Be sure as well that what you have is the correct ballot for your precinct. Fill up your ballot by shading in the ovals (not check, X or half or line) next to the names of the candidates you want to vote for. Some position will require you to choose more than one candidate, so read the instructions carefully! NOTE: DO NOT OVER-VOTE! If you vote for more than the maximum number allowed, your votes for that position will NOT BE COUNTED but provided other positions are correct, those will still be counted. Insert your ballot into the counting machine. It doesn’t matter if you insert the ballot bottom first or upside down and make sure you do not make it dirty or even fold it. Wait as well for the confirmation message on the machine screen. 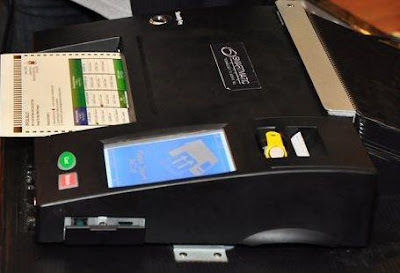 At the end of the process, the voting machine will count all the votes cast and produce shall copies of the election returns. Then return to BEI to return the pen and get indelible ink on your finger for proof of voting. It’s that simple. Now, are you ready to cast your vote? Don't forget to “VOTE WISELY” for this is the future of our country that we do this elections. Politicalarena.com is the country’s first socio-political networking site, developed to promote awareness and interactivity in the local political scene. It provides users with a common platform to access information about candidates and, at the same time, offers candidates with a venue to disseminate information to the public, real time. Just like any other networking site, politicalarena.com encourages visitors to register and voice out their concerns, express their views, interact with candidates and learn more about Philippine politics. They could also post photos, upload videos and share their views through blogging, asking questions and posting testimonials. It's nice to attend again the Voting Process for May 2010 Elections presentation by Political Arena dot com w/ Smartmatic-TIM and Comelec.